York’s best known village club always welcomes new members! 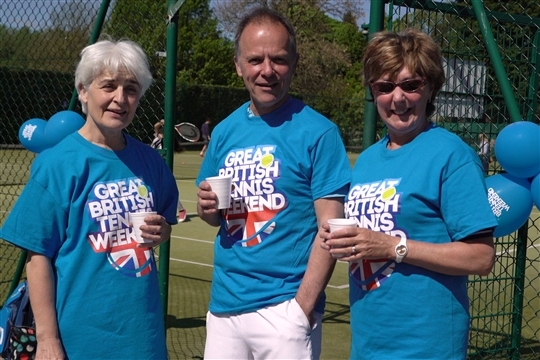 Look here to see what fun we had for the Great British Tennis Weekend event in May ! 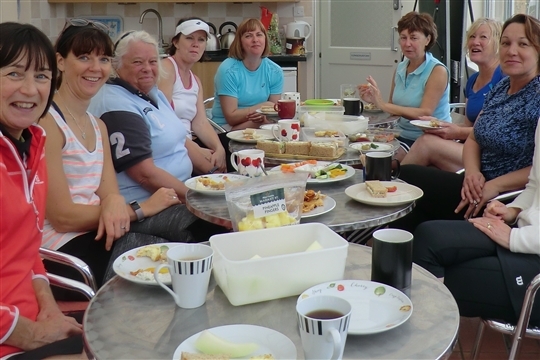 At Poppleton Lawn Tennis Club we encourage informal and organised social play and offer competitive club and league matches. Our comprehensive range of adult and junior coaching programmes is delivered by a team of LTA-qualified coaches to give all players opportunities to improve their tennis and gain greater enjoyment from the game. Group coaching for men is on Saturdays morning 10-11 and. Women's group coaching on Wednesdays evening 7-8pm has now finished until the autumn. 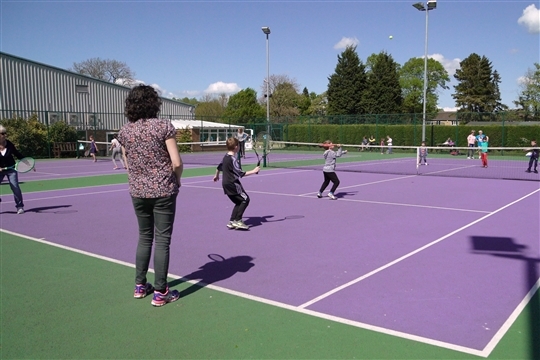 Our excellent facilities include 6 courts, three floodlit hardcourts and three artificial grass, a conservatory club-house, a bar-café, changing rooms and showers in the adjacent Poppleton Centre. 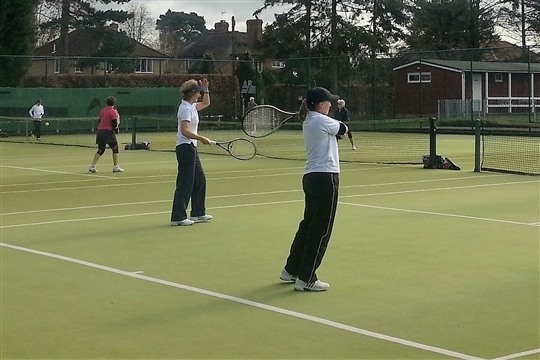 Poppleton LTC is TennisMark accredited by the LTA. Winter memberships are now available - for memberships from September 2018 through to April 2019. Click here to sign up for your membership now!